Regardless of the specific charges you may be facing, the Boca Raton immigration attorneys at Whittel & Melton may be able to help. We offer a free consultation to discuss your specific case to see how we can help you protect yourself. If you have been accused of an immigration law violation in Florida, you have rights. Even if you are a non-U.S. citizen facing deportation, you have the right to a hearing and representation by an attorney. If you are accused of falsifying immigration documents or of harboring an illegal alien, you have the right to an attorney to represent you in federal court. Because immigration violations are federal offenses, you will need the assistance of a criminal defense lawyer who is experienced in federal court cases and procedure and can be effective even in the face of extensive evidence and harsh prosecution by federal prosecutors. Once retained, our team of lawyers and investigators will utilize their experience and resources to fully investigate your case and build a defense strategy that will give you the results you deserve. 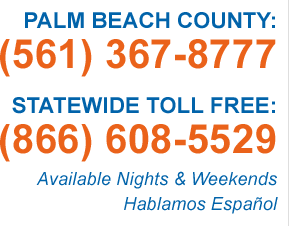 Call us today: Local (561) 367-8777 or statewide, tollfree: (866) 608-5529.